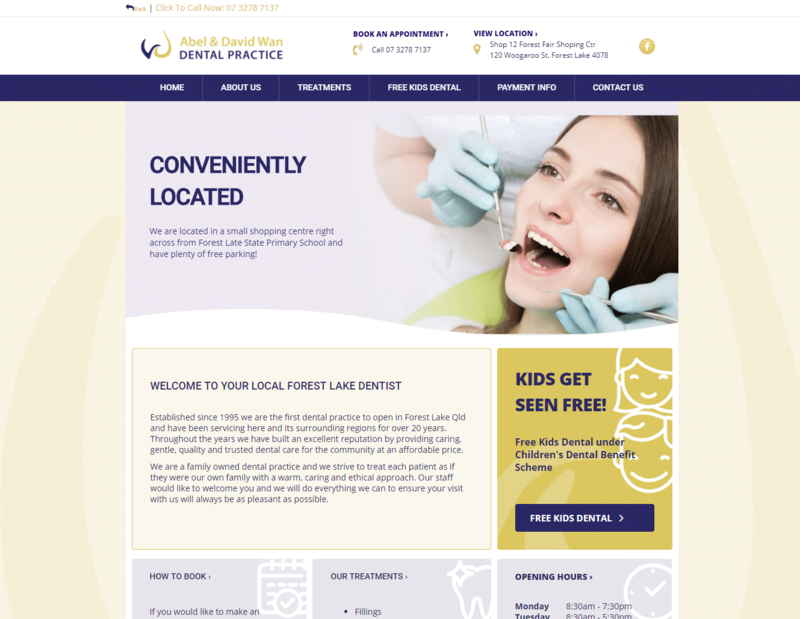 Abel & David's dental clinic had been well established with over 30 years in the community. They'd never had a website and only wanted one because it was part of the times. So they wanted something that represented their brand without being overly complicated. Opting for a narrower boxed layout with fun and quirky graphic design flair positioned this simple site for their school/family and aged demographics in the area. Services are simple and to the point and the site feels cohesive to his branding.